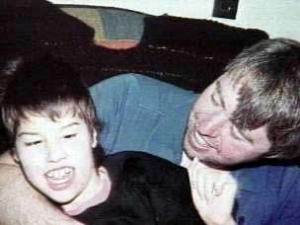 Robert Latimer, the man who became famous in Canada for killing his severely disabled 12-year-old daughter, will be released from prison on parole in time for Christmas on December 6. Latimer, 57, has been on day parole in Victoria since February 2008 with several conditions. He was recently allowed to spend the night at his home for 5 days before returning to a halfway house for 2. The National Parole Board has decided to give Robert Latimer full parole in December. The judge in the case sentenced him to life in prison with the possibility of parole after 10 years. The case sparked debate almost a decade ago in 2001 about the morality and legalization of euthanasia. Robert's lawyer Jason Gratl has made no comment on the details of his parole and Latimer has remained silent on the issue.